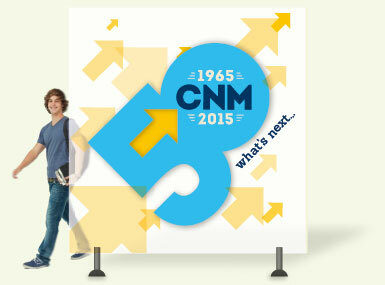 For 50 years CNM has been instrumental in strengthening our community. 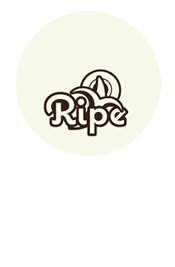 They're forward thinking and acting, helping people "step up" their game, career, business, and life. 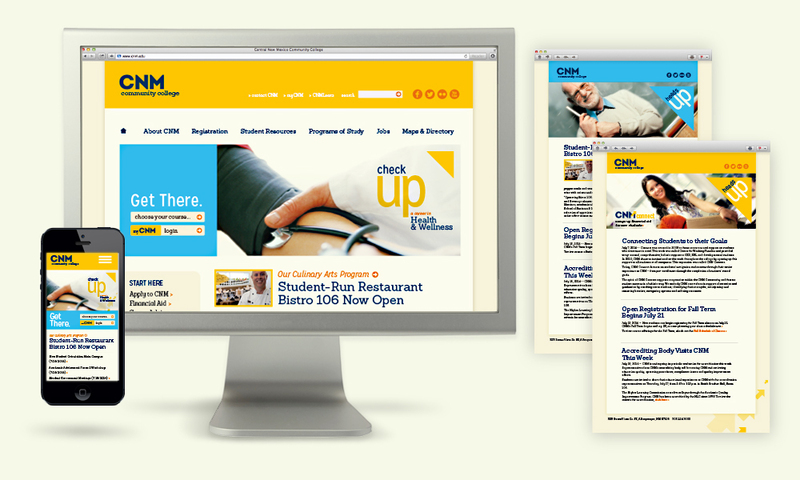 We were honored to help them express this message with an anniversary branding campaign. 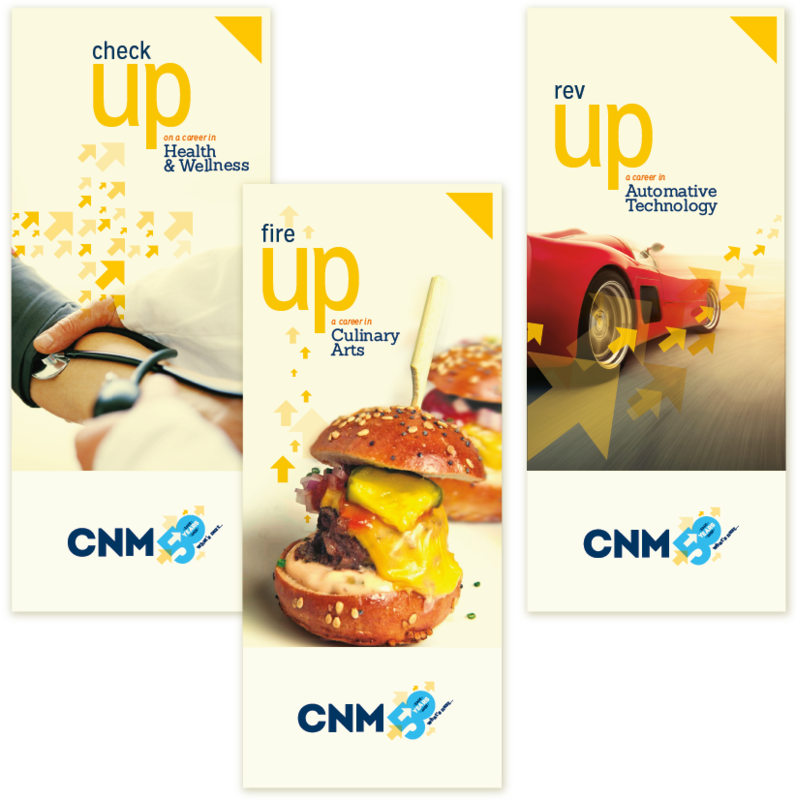 The idea of advancement and moving forward is further expanded in the brand messaging concept and imagery. 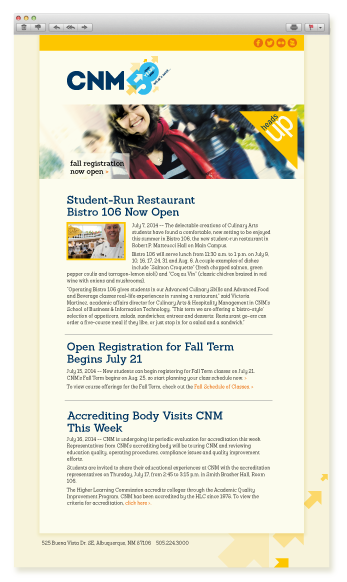 The campaign pairs words with "Up" as headlines that support programming, activities and general communications; e.g., Ramp Up, Heads Up, Thumbs Up, Start Up, Next Up, Sign Up, etc. 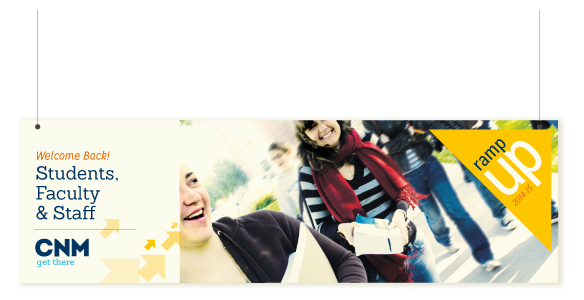 The imagery focuses on the anticipated results of a student's education, and the arrows are used to create patterns and shapes that support the subject. 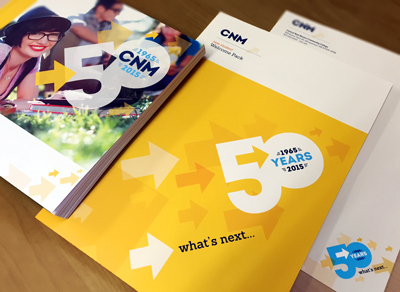 We designed the framework for building out the CNM 50th Anniversary Branding campaign concept into print, web, environmental and promotional items throughout the year. 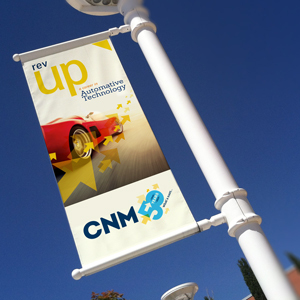 Thinking past the anniversary year, we mapped out the designs for integrating the "Up" campaign into all aspects of the college branding and marketing. 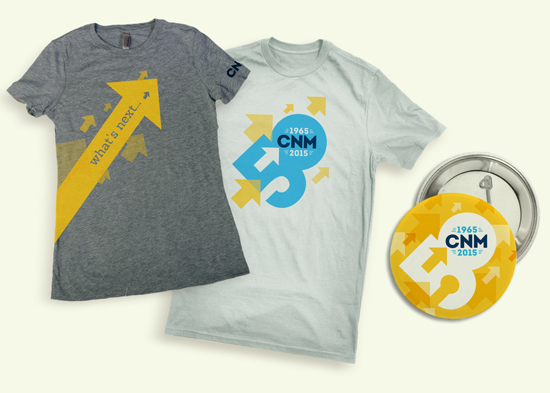 The anniversary logo incorporates new styling of CNM's arrow element to emphasize a progressive, forward-thinking approach. The shower of arrows acts as celebratory confetti and conveys a focus on the future. 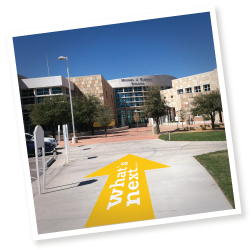 The "what's next..." tagline supports CNM's focus on constantly evolving programming, resources and activities to meet the needs of the community. 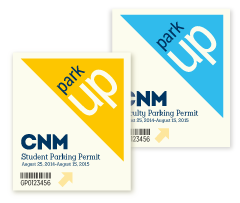 It also reminds New Mexico's youth to think about the future.